ASU junior and State Press managing editor Kimberly Rapanut laughs in the newsroom in Tempe, Arizona, on Thursday, Nov. 1, 2018. We think our readership has a right to know who has been telling ASU's stories, so we're continuing our Q&A series with our editorial board with one of our managing editors, Kimberly Rapanut. Tell me about where and how you grew up. I grew up in Mesa, Arizona — the East Valley. I was born in Seattle actually, and then we moved here when I was three, right before my little brother was born. I actually spent most of my life in private Catholic education, and it wasn't until I went to ASU that I had gone to a public school in any type of sense. I literally wore a uniform every single day from ages six to 18. So, that was a big part of my upbringing, I would say. I guess in turn with that, growing up in Arizona and growing up in that type of environment, I was used to being surrounded by people who didn't look like me. I was used to being the only person of color in every single one of my classes, or one of the few kids in my high school or in my middle school who weren't white. So that was another big thing, I guess. Was coming to ASU after attending only private school a culture shock for you? So I guess that was a big thing. But going to Cronkite, since it's a small program, it wasn't the biggest amount of a culture shock. But I would say going to ASU has definitely opened my eyes to a whole new, I don't want to say “world,” but given me so many different perspectives of all the people I've met and their upbringings and their lives. So, why did you choose ASU? I knew that ASU had a really good journalism program, and I figured I might as well. Plus, I was from here, so I get in-state tuition and all that stuff. It wasn't originally in my plan. I wanted to move to Los Angeles or somewhere in California and never look back, but I'm happy I'm here. Was it always your dream to be a journalist, or did you have other aspirations previously? I never thought about going into journalism until April of my senior year of high school. I was trying to decide what I wanted to major in and what I wanted to do with my life. And when I thought of journalism, I thought, how have I never thought of this before? I had loved writing and reading so much when I was younger, and journalism was just that, but combined with my want to do something with more substance. If you were any song, which would you be? If I was any song, I would definitely be "Take Me Home, Country Roads" by John Denver. I don't even know why I like that song so much. I don’t even really like country, but it really speaks to me in a very weird sense. When I was younger, around seven years old, my mom had the Eagles’ Greatest Hits CD, and she would play it, and I would literally cry in the backseat to "Desperado," which is about a friend dying. And none of my friends had ever died at that point. No person who was super close to me had really died. And I was like, “Oh, this really hits me.” And I think that's just how I feel when I listen to "Take Me Home, Country Roads." 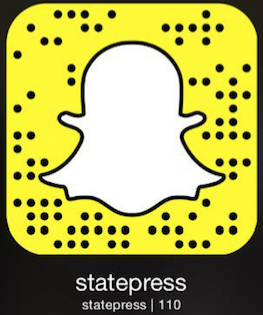 Reach the reporter at japere38@asu.edu or follow @jsphprzz on Twitter.